I love organization. I knew I needed to thoroughly clean out my closet when I started cycling through five to seven shirts over the past few months. Am I the only one who occasionally experiences a lazy phase and chooses a few favorite shirts to wear over and over and over? I’m not the only one? Yay! I like to know I’m not alone. My go-to shirts are usually in the front and within my reach. Shirts that don’t fit make me feel a little sad, and I’m too lazy to dig for shirts in the back. LOOK AT ALL THOSE EMPTY HANGERS! After picking up a few new shirts recently, I decided to rummage through part of my closet. 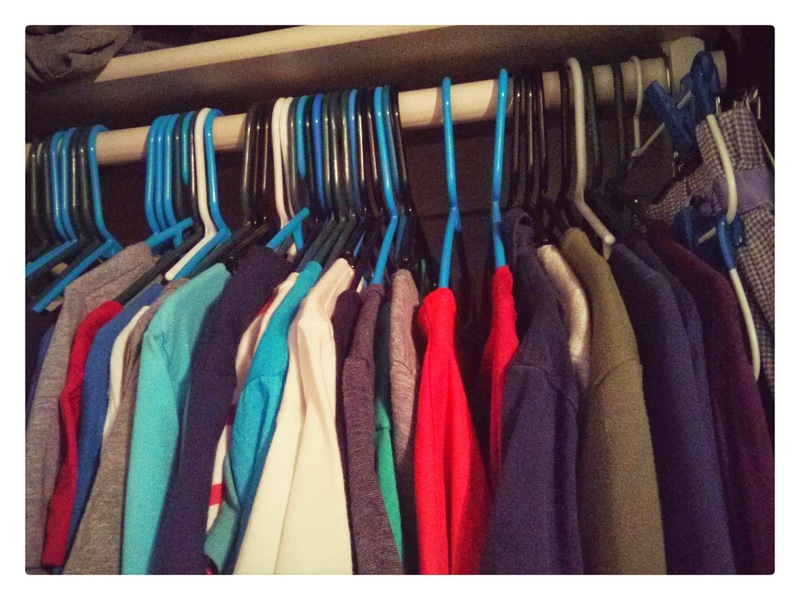 Quick side note: my closet is divided into three sections — dress pants folded on a shelf, casual shirts and nice T-shirts and skirts hang on the high rod, and business shirts, tanks, sweaters, and cardigans hang on a lower rod. Anyway, shirts that don’t fit and shirts I don’t wear anymore were taken off the hangers and thrown into my refashion piles. 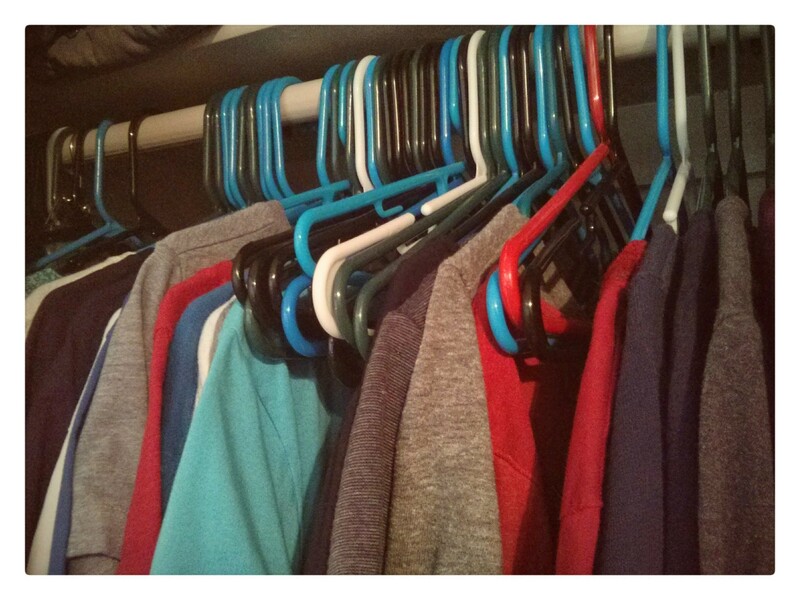 MAY NOT LOOK LIKE MUCH, BUT AT LEAST MORE SHIRT SELECTIONS ARE EASILY WITHIN MY REACH. WOOT! Shirts in the back of the closet and shirts not worn in quite awhile were thrown into the laundry basket and then returned — smelling clean and fresh — to hangers near the front and middle of the closet. While the shirt section of my closet may look a little thing, at least more wearable shirts are within my reach and my shirt rotation expands from five to seven shirts to more than 20 shirts! Success! I absolutely love clean and organized closet.